Apples and cinnamon are such a good combination.. This dessert is so easy and fast to prepare when you feel the cravings sneaking up on you. Remove the core with an apple corer or just use a small knife. 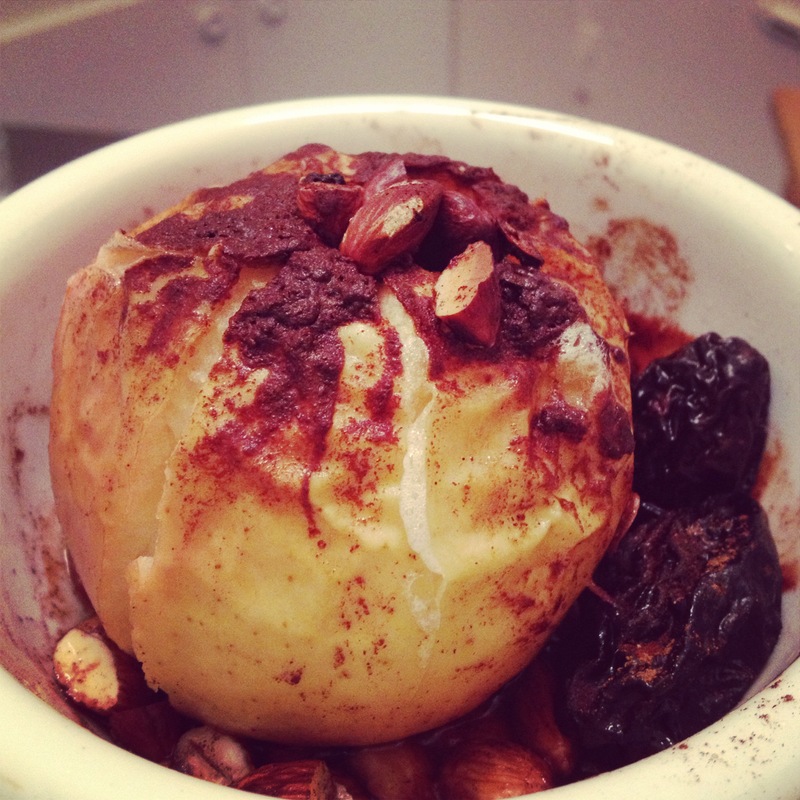 Put the apple in an ovenproof dish and stuff the core with a couple of prunes. Sprinkle with nuts and almonds and leave some prunes next to the apple. Pour the clarified butter or coconut oil over the apple and sprinkle with cinnamon, pure vanilla powder and some coconut palm sugar. Leave in the oven at 180c until the apple cracks and have a nice golden color. This entry was posted in Sweet on 09/12/2013 by tine.